 Create apps with MobiCart. Create apps with no programming skills. MobiCart is a simple way for you to build and manage your e-commerce store into an m-commerce app..cool right! MobiCart can works on its own, or linked up to your existing website. MobiCart is a startup that is taking m-commerce to a new level of personalization by enabling anyone to quickly deploy a native storefront application on iOS and Android devices as well as HTML5. MobiCart combines a customized application development platform with an online ecosystem for sharing extensions. About MobiCart: The company is located in Silicon Alley (UK) and California..Didnt know about the Silicon Alley..quite funny =) British 😉 Since this is pure E-commerce the focus on the information below is on this ofcourse..so if you want to create just apps for your blog, website etc there are more suitable options. IF the information isnt enough they have a really good website with lots of info..
Store settings: Country/State Tax and shipping rates, Language packs for the admin and each mobile device, Product stock options, Your store in any currency, Manage app store vitals, Synchronised product catalog, Store locator with Google map, Tracking numbers, Shipping status and carrier. Pricing model: The options are: Free plan, Basic plan, Starter Plan and Pro Plan. Free: Basic plan with same features limited to 10 products. Developer features: Get access to the source code, Powerful API to work with, Build and sell add-ons, Get featured as a partner, White label plan coming soon. MobiCart Add-Ons: Prestashop, Magento, Opencart, Twitter, WordPress, Xcart, PayPal etc etc..
MobiCart also arrange own webinars from time to time. Visit their website for more info. Have you used MobiCart? What do you think? If so, please vote for Mobicart on our App Poll.